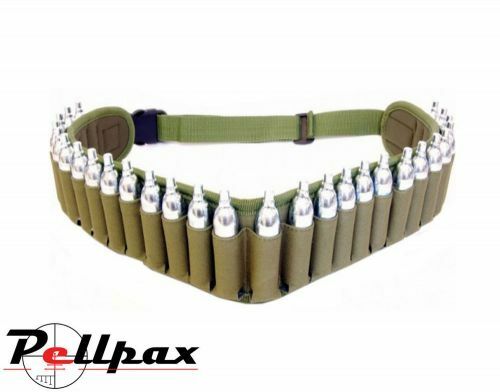 Strong and durable canvas CO2/Ammo belt. Holds 28 CO2 capsules, ideal for the pest controller or regular shooter! Allows you to carry plenty of co2s in complete silence, no rattling about in your pockets.